In order to effectively monitor geomorphological and hydrodynamic regimes, frequent high resolution surveys and environmental monitoring is required. Coastal risk management authorities at Wyre Council recognised that the seawall at Rossall on the Fylde Peninsula (northwest England) is now an integral part of the nearshore sedimentary regime. The sediment transport pathways could change adversely as a result of the seawall construction and the area must therefore be closely monitored to ensure this is not the case. One of Marlan’s Synoptic Nearshore Monitoring Systems has been deployed on a standard lighting column mounted along the seawall. With great visibility north and south, it will autonomously observe changes in the beach morphology. These changes may occur abruptly as a result of a storm, gradually due to a change in the sedimentation regime, or the sediment flux could remain stable due to the array of groynes alongshore. Whatever the result may be, Synoptic will monitor the situation continuously and generate quantitative reports describing the sedimentary change over the nearshore zone. The system comprises of an X-band navigational radar, a meteorological station, a CCTV camera and a tidal measurement device. 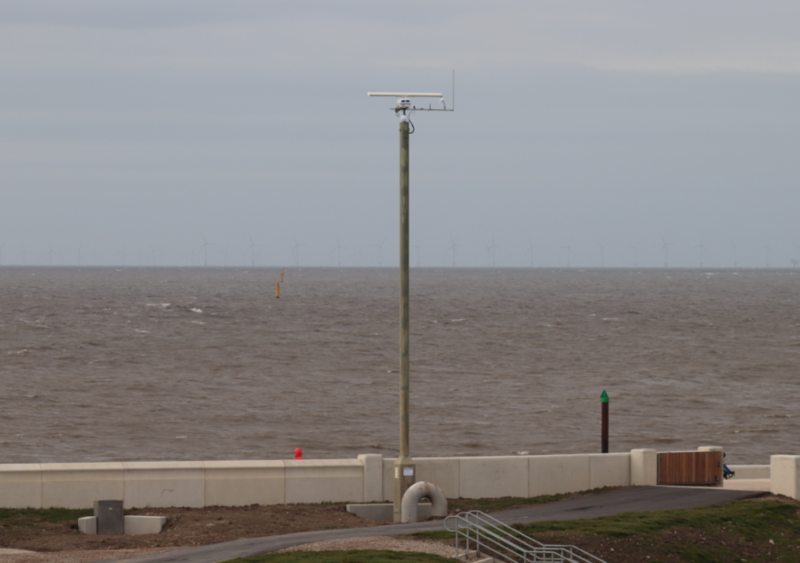 The image below shows the system installed overlooking the seawall at high tide. Once installed and powered up, the system began to stream data back to Marlan HQ. Marlan began to receive images on the 1st of October and were excited to see the waves propagating clearly onshore in the high winds following installation. The raw data were captured and digitised using their IRIS software, which will feed into the Synoptic software for further processing. 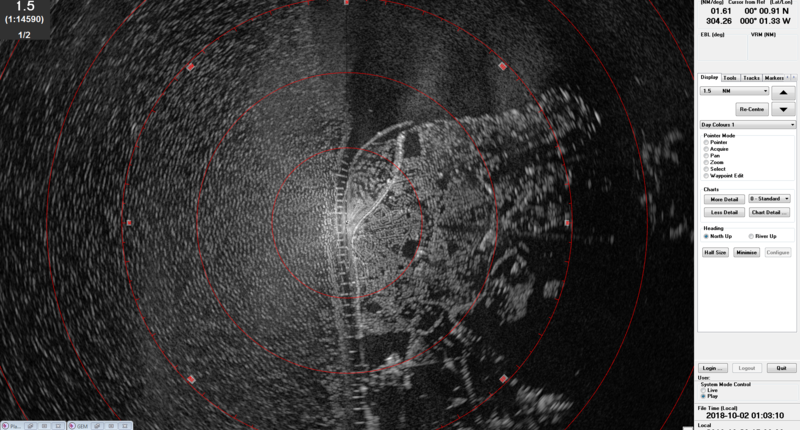 These images are then combined to make time exposure images generated every 10 minutes representing the average radar signal return over that time. 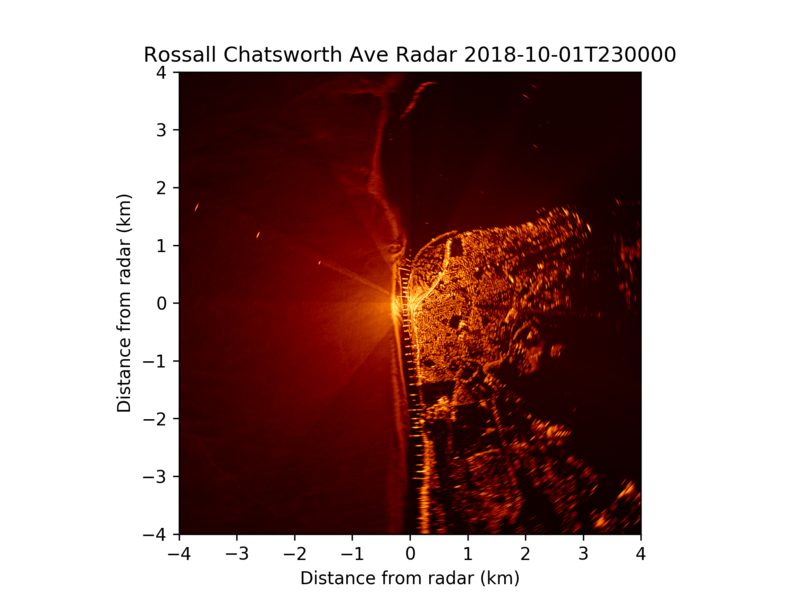 The system then uses a sequence of these images, along with a record of tidal elevations to autonomously produce a Digital Elevation Model (DEM) over the large intertidal area. These DEMs are produced every spring tide cycle and fed into a database to create a 4D dataset that shows sedimentary bedform migration and changes in erosion and accretion.